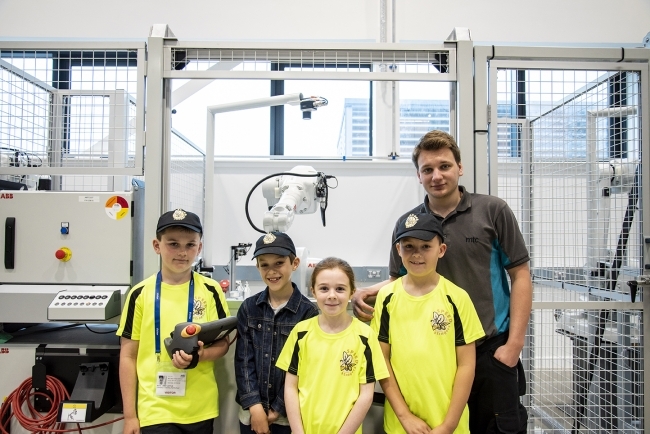 A team of primary school youngsters from a Midlands school has reached the national final of a major engineering competition – with a little help from their friends at the Manufacturing Technology Centre. The four-strong team of eight and nine year-olds from Crackley Hall School in Kenilworth came out as regional winners of the F1 in Schools Jaguar Primary Challenge. They now go through to the national finals later this month, competing against schools from around the country at the National Motor Museum at Gaydon. The challenge is for the youngsters to design, test, engineer, manufacture and then race miniature compressed air-powered racing cars to strict specifications. 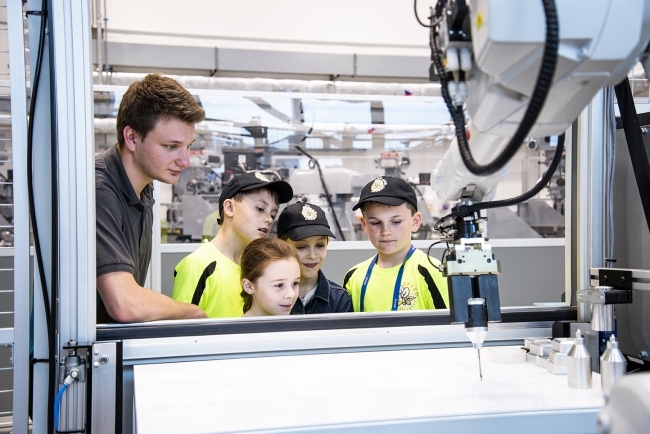 The children are encouraged to use IT to design their car, learning about CAD/CAM software, design skills, mathematics, aerodynamics, engineering, manufacturing and testing. They also had to do a five-minute presentation. The Crackley Hall team of Jimmy Loftus, Soren Wasley, Zach Rose and Cadie Hardwick took the top prizes for Best Engineered Car, Best Additional Challenge, and Best Portfolio and Pit Display as well as first place overall to go through to the national finals. They enlisted the help of MTC trainee technician James Watts who used the MTC’s Trotec laser machine to produce lightweight wheels, designed and engineered by the team. The school’s design and technology co-ordinator Cat Hardwick said this was the fourth year the school had taken part in the challenge and were delighted to get through to the national final. “We are grateful for the help of our sponsors, and particularly the MTC who have given us practical help and worked with the pupils. The challenge involves a very technical brief, but it is one that has been proven to really engage potential future engineers, which is what the challenge is all about. They are really enthused and now understand the opportunities of engineering as a career,” she said.